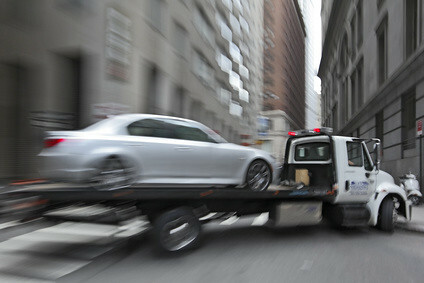 Few industries are able to reap the benefits of GPS fleet tracking to the extent that the towing industry does. Knowing the precise activities and movements of their vehicles helps keeps tow company owners in the black and in control of their business operations. Dispatch personnel are empowered, as the communications gap between the office and the field all but disappears. An immediate improvement in customer service occurs, as dispatch employees feel more confident in the accuracy of the information they are relaying to customers. Drivers become more “connected” with the office due to location awareness. This allows dispatchers to assist drivers with real-time routing. Through real-time PTO alerts, dispatchers are aware of job progression, enabling more efficient job assignment to occur. At less than $1.00 per vehicle per day, the return on investment from an effective real time fleet tracking system is immediate. Improved customer service quickly translates to an increase in repeat business. Increased vehicle and driver productivity means more billable work per shift. Reduced vehicle operating costs and improved driver safety translate directly to the bottom line. GPS Commander provides innovative, affordable GPS tracking solutions to the towing industry, featuring lifetime warranty, no contracts and 24-7 live support. GPS Commander: Who Are We?